Essexville Electric is proud to report that our efforts to put Boy Scouts in touch with others around the world was a huge success. 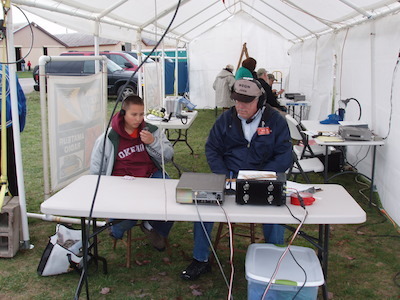 Essexville Electric assisted in putting up antennas for shortwave radios so Michigan Scouts could communicate with Scouts in other parts of the country and even the world during the recent Water & Woods Camporee held at the Midland County Fairgrounds. The event hosted thousands of Boy Scouts from 27 Michigan counties. During the Camporee, the Michigan Scouts used shortwave radios to make 91 contacts, including 80 other Scouts in 28 states and three countries. Essexville Electric was happy to help the Scouts make these connections!